This week a survey was released by Bibby Financial Services, which shows that UK SMEs want the new Government to provide simplicity and stability. The survey highlights EU membership as a key concern for small businesses over the next few years and that almost a quarter want a simplified PAYE system. A reduction in business tax rates and an end of late payments by large companies were also high among concerns. And like many in the business community we are all left wondering what an exit from the EU might mean for staffing, exports and tariffs. Business for Britain has stated that EU regulations accounted for 60% of all EU law, which led its chief executive Matthew Elliott to say that the Commission and the European Parliament see regulation as the answer “to every problem the EU faces”. 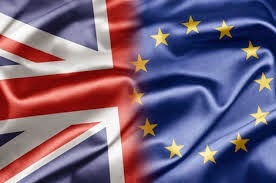 From a business point of view would you rather see the UK in the EU? Let us know your thoughts! 360ict provides managed IT services and support for SMEs in central London and the south-east. For more advice on gaining competitive advantage as a mid-sized company, give us a call on 0208 663 4000 or contact us via our website.